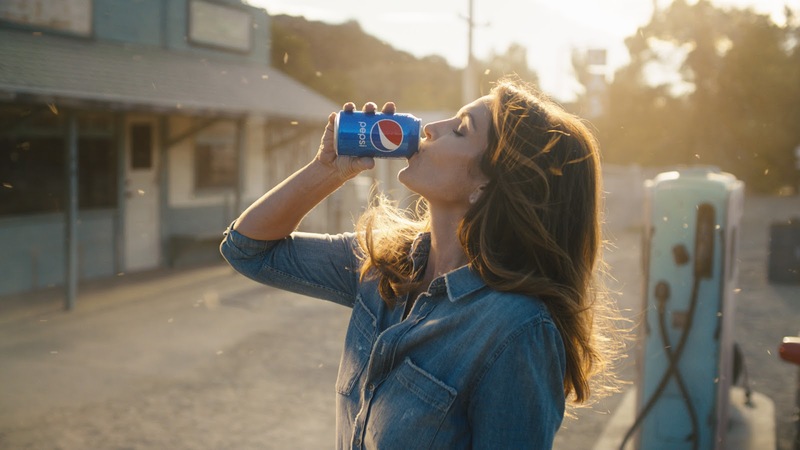 It's hard to believe that it was over 26 years ago that supermodel Cindy Crawford stepped out of a red Lamborghini at the Halfway Cafe, sexily grabbed a Pepsi and established one of the classic Super Bowl ads of our time. Pepsi is hoping to rekindle that magic in a much, much better way than the questionnable animated emoji ridden #SayItWithPepsi mess that they created last year by teasing their 'Pepsi Generations' campaign. The 'Pepsi Generations' teaser marks the start of Pepsi’s new global campaign, which celebrates the soft drink brand’s pop culture history spanning the course of 120 years. “Pepsi Generations” will highlight Pepsi’s past, present, and future including the best moments from Pepsi history, iconic new moments for today, and how the stage can be set for an exciting future, which is a lot for a $5 million, 30-second commercial. ...And in case you want to cringe at the #SayItWithPepsi commercial from last year, here it is as well!